A reaction that some people (allergenic patients) experience against specific substances (allergens). It is a reaction of the immune system that in most cases depends on the production of a special type of antibody (immunoglobulin IgE). 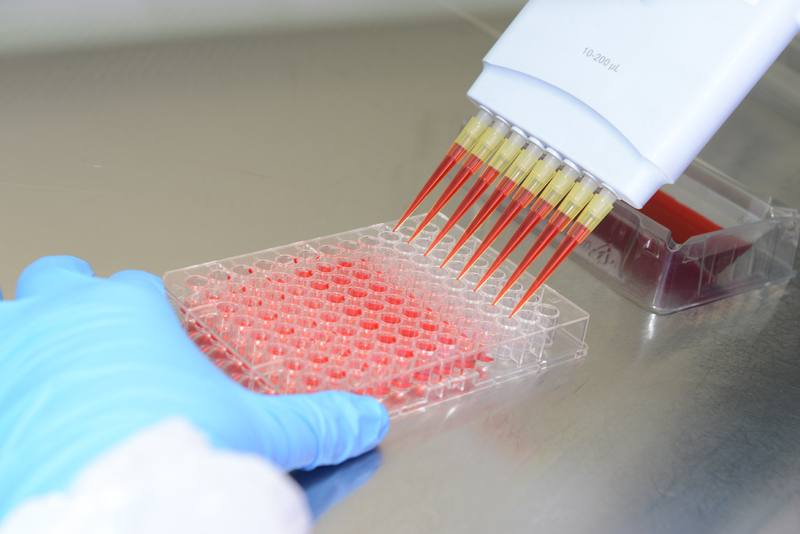 The IgE antibodies are specific and react against a specific allergen. 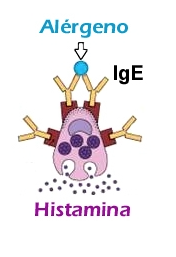 IgE attaches to the surface of mastocytes (a type of cell) and activates them if it reacts with the allergen. The activated mastocyte releases histamine and other substances which cause the allergy symptoms. When does this reaction occur? When the patient is exposed to the allergen because the IgE antibodies react against it. In the tissues exposed to the allergen, as the IgE antibodies are distributed throughout the body. The allergens entering the body through breathing cause reactions in the nose and bronchia. These reactions are known as respiratory allergies. The allergens that enter the body through the digestive system cause reactions mainly in the digestive tract (food allergies) and those that enter the body through injections and disseminate in the blood cause general allergic reactions. Allergic patients produce IgE antibodies against allergens immediately. There is a genetic predisposition that determines this reaction and for this reason allergic diseases are frequently found in children of allergic parents.